A Chicago native, Chris ended up in Napa Valley because he saw wine as a way to combine his “love of the sciences, restaurants, food and wine” and tap into his creative side. 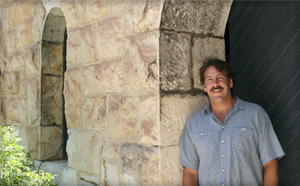 His first position in the world of wine was at Domaine Carneros, where he worked as a harvest enologist. He went on to work as a vineyard intern at Domaine Chandon and a research intern at Tenuta Antinori, Santa Cristina Estate in Montefiridolfi, Italy. 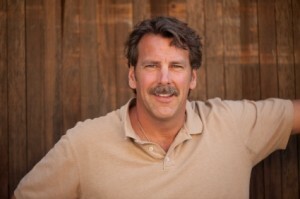 In 1998, he received his MS in Horticulture from the viticulture and enology department at UC Davis, and quickly joined the team at Cardinale as its enologist. 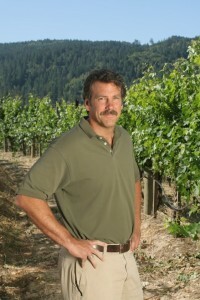 In 1999, he was promoted to assistant winemaker, and in 2001 was named winemaker. Check out our interview with Chris below the fold. A bottle of 2009 Evidence Zinfandel. How did you decide to pursue a career in wine? I was a bartender at a music club in Chicago with a bachelor’s degree in biology surrounded by musicians and artists. We were all in our 20s and 30s in a great food town learning about food and wine, and the pleasure of the table. I wanted to combine my love of the sciences, restaurants, food and wine, and try to tap into the creative side of life that I had luckily been exposed to. Wine answered all of those desires for me. How did you learn to make wine? I studied at Davis and received my MS, which was a great way to understand the science of winemaking. I really learned the craft that is winemaking by working in the cellar and vineyard and listening to the winemakers and vineyard managers who I had the privilege of working for and with. I spend much of my time with my daughters and their activities, I still bartend one day a week at the Rutherford Grill and if there is time left over I sail in the bay. Who are your favorite winemakers in history? God, the devil and all that’s in between. My Assistant Laura Diaz. She is from Spain and has an incredible palate, a passion and drive for winemaking, new ideas and is not afraid to get dirty in the cellar rather than sit behind a computer screen. What mailing lists, if any, do you purchase from? I am not a member of mailing lists. I follow many wineries in the magazines and via my colleagues but most wine that comes into my house is either via trade or from one-off purchases. The best wine I ever tasted was a 1965 Vega Sicilia. The most interesting was a skin contact Ribolla Gialla white wine. I don’t recall the producer but what a unique set of flavors. 1982 Chateau Mouton Rothschild – which answers both questions! A screaming high-acid Chianti Classico, and an equally high-acid Riesling from Germany. Most winemakers are control freaks, but one cannot control Mother Nature, thus dealing with vagaries in the weather and what it does viticulturally can at times be psychologically taxing. Without a doubt, Brunello di Montalcino. Of course. A buddy of mine works for a craft brew distributor in Wisconsin. He sent me a case of some crazy good beers from all over his state. A friend was over the other night, Kevin Morrisey from Ehlers, and we tasted through most of them and didn’t even think about cracking a bottle of wine — the Glarus Imperial IPA was amazing. Sometimes gin or bourbon or rum is better as well. Something in the music industry, maybe managing a band or running a music venue. I still may do that someday. Achieving the freedom to do what you like to do, how you like to do it, when you want to do it, and doing it so that others appreciate it or at least respect it. Hats off Mr. Carpenter! You have been a wonderful mentor and a true friend! Now stop quoting iconic 80′s movies….in fact, that one may have been 79′.